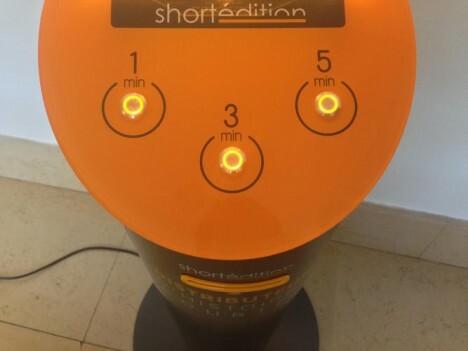 If your mobile device runs out of batteries on the streets of Grenoble, simply find one of these machines, specify a desired duration, and receive a free printed short story to read in a park or on a train. 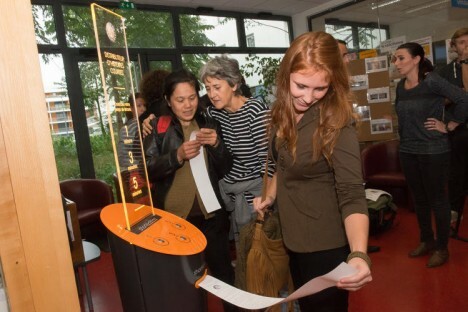 Deployed by the publishers of Short Édition, these automated kiosks are online 24 hours a day with a selection of 600 short stories, works selected by a community of over 140,000 subscribers. 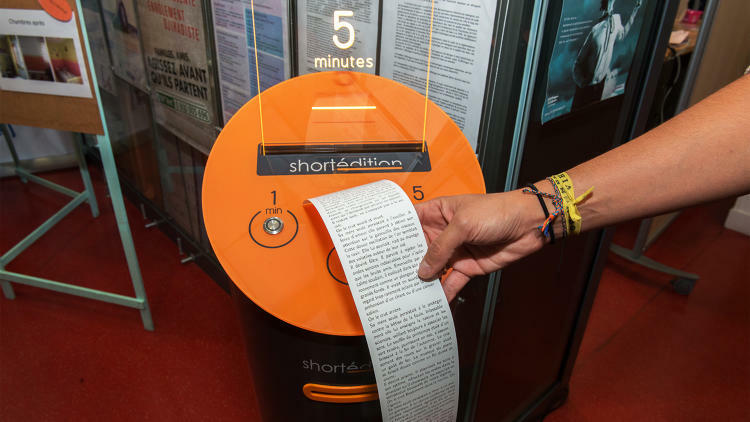 Would-be readers are directed to select the length of story they wish to read, then wait a few moments while the tale is printed. No one is suggesting we stop traveling with our cell phones on hand, but for people who need a break from the screen or desire some alternative entertainment, this provides another option. The project creates not just printed stories but focal points for urban interaction, changing the way we think about and connect with cities and one another.